If you’ve ever made a point of trying to be kinder, more compassionate and less judgmental of yourself – and then not been able to do it… did you kick yourself even further down the rabbit hole of self-disapproval, did you wonder how to end the unstoppable downward spiral? 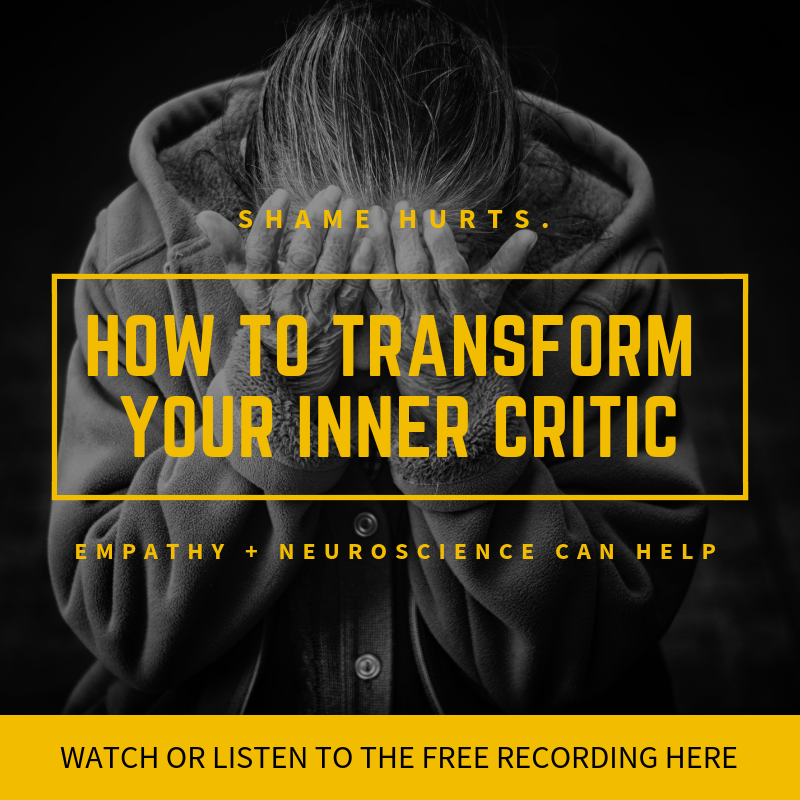 Where does that critical inner voice come from, and what purpose can it possibly serve? 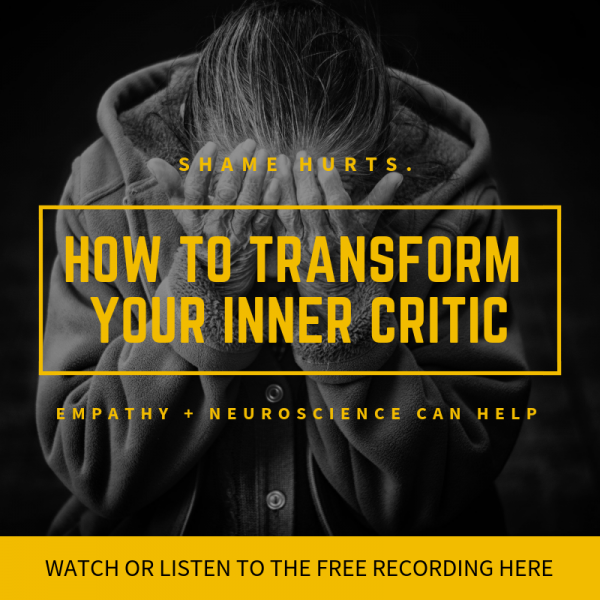 This webinar introduces the power of body-connected resonance to help you understand how empathy affects the human brain and how to bring precision and beauty to help transform the inner critic into a compassionate advocate. visit the FAQ for more information. Please note: it can take 6-24 hours for content to appear.